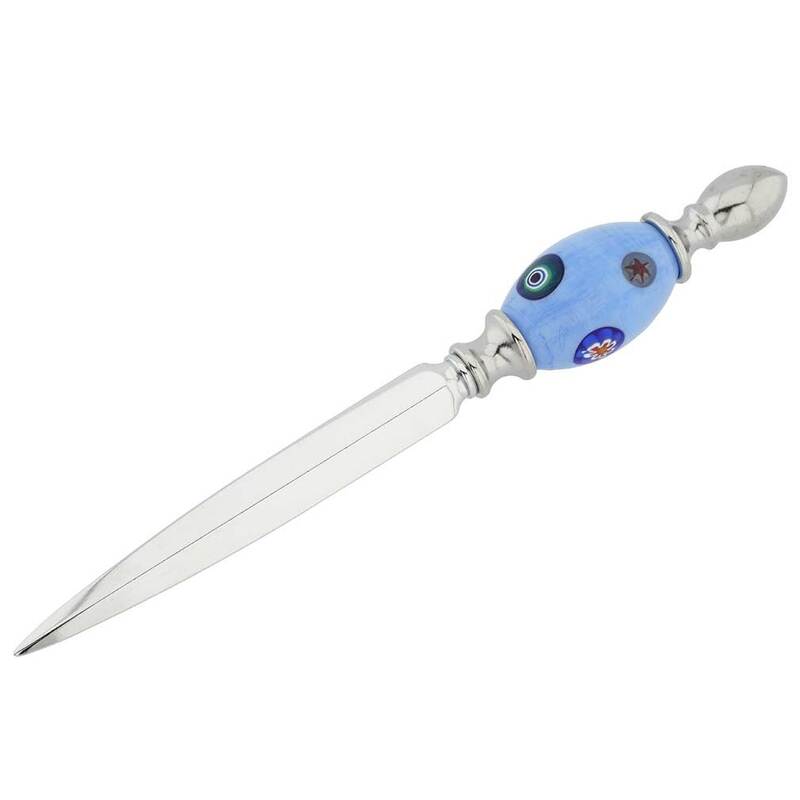 Measurements: This letter opener is 6 3/4 inches long, and the glass bead in the handle measures 1 1/4 inch in length. 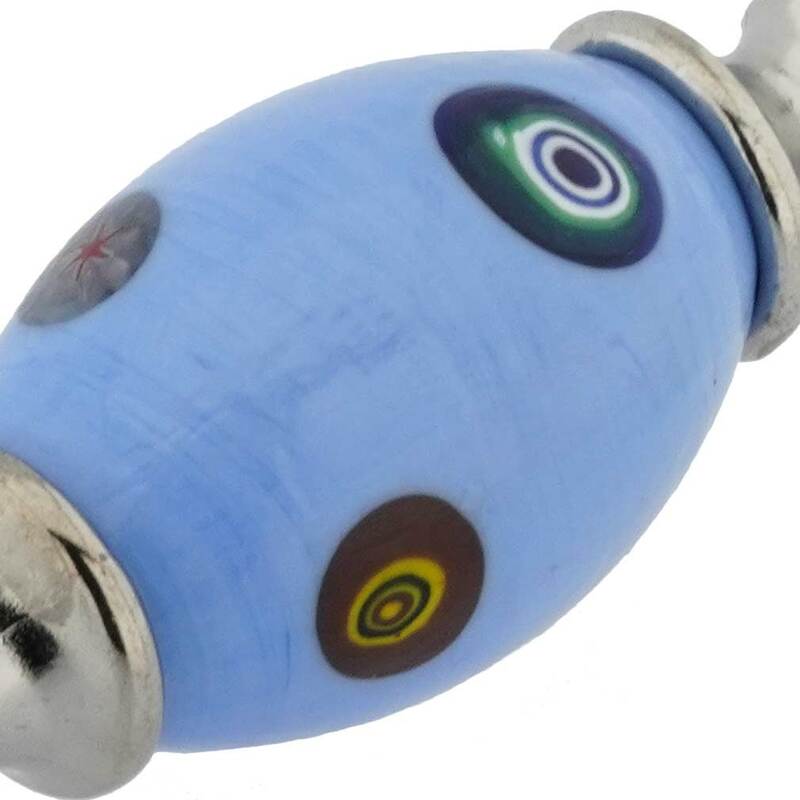 The blade is elegant and sharp with durable chrome finish, which will not tarnish. 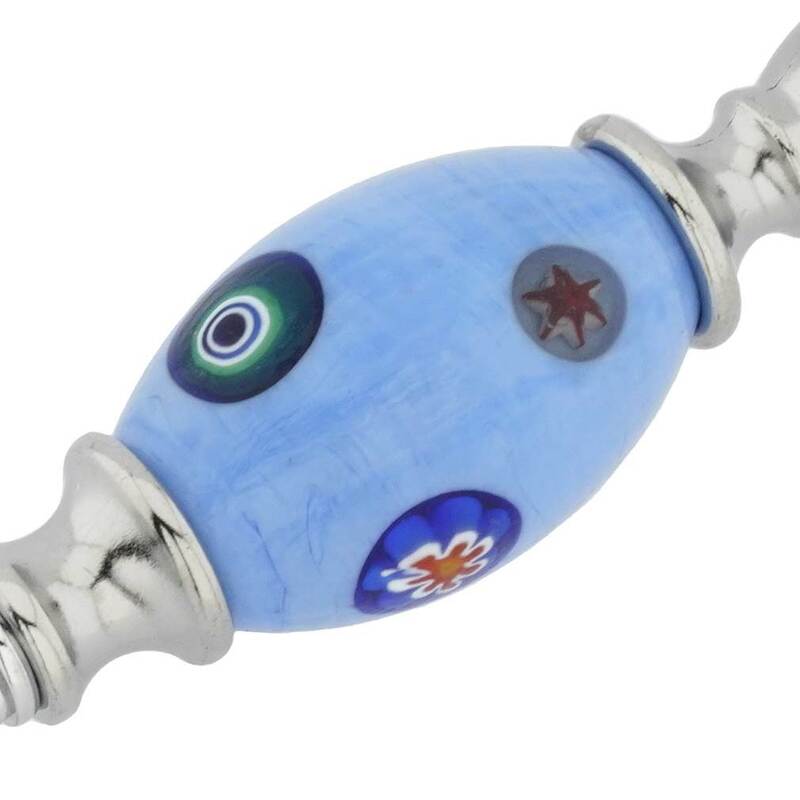 The Murano Glass letter opener comes with a certificate of authenticity. I ordered this as a Christmas gift for my sister. It came in the mail today and she may not get it! I wasn't expecting such a high quality item for the price! It's a nice "heavy" weight in your hand. And the glass? Let me tell ya! Gorgeous!!! If I actually end up giving it to her for Christmas, I KNOW she'll love it!